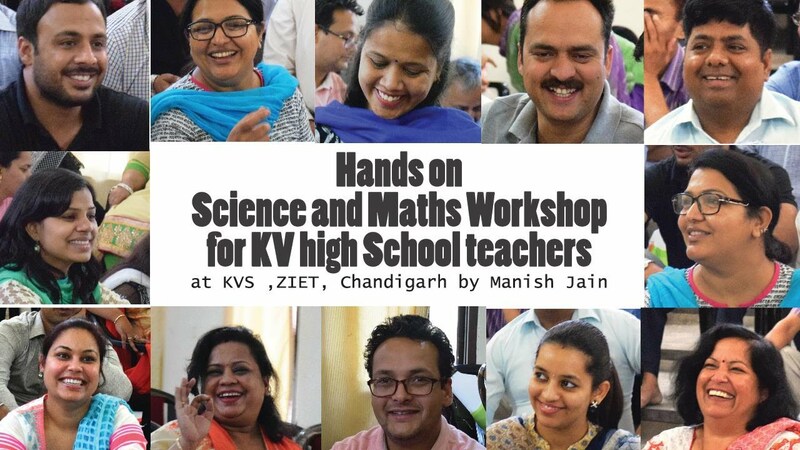 Taking lead from the initiative taken by the Ministry of Human Resource Development as “Rashtriya Avishkar Abhiyan” and to make learning of Science Mathematics a joyful and meaningful activity, the Zonal Institute of Education and Training, Chandigarh organised 3-day workshop from 22-04-2016 to 24-04-2016 on Hands on experiments for Post Graduate Teachers and Trained Graduate Teachers of Mathematics and Science . The workshop was facilitated by Sh. Manish Jain , an IIT Kanpur Alumnus who is continuously involved in conducting workshops on hands on experiments in Science & Maths and believes this approach can revolutionize learning since toys speak the language that children understand.